The K League Classic moves into round 15 with an early summer weekend round. The highlight game this weekend is the Saturday evening clash between Jeonbuk Hyundai and FC Seoul, Jeonbuk are lacking form and Seoul seem to be improving, means that this should be an interesting clash. The league table is still close in the middle but gaps have started to appear. Jeonbuk Hyundai despite losing and drawing their last couple of games have an impressive 12 point gap at the top of the table. Suwon and Jeju complete the top 3, with the next 7 sides separated by just 4 points. 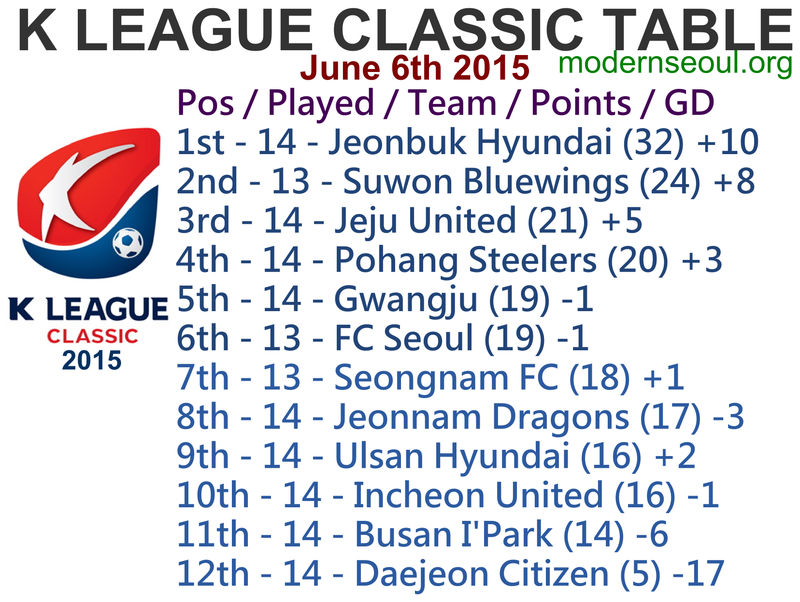 Busan I’Park are currently 11th with Daejeon Citizen falling away at the foot of the table, 9 points adrift of Busan. League leaders Jeonbuk Hyundai have won 7 of their last 10 games, but surprising lost last weekend vs. Seongnam and drew during the week. FC Seoul are unbeaten in 6 in the league, winning 3 of those. Although Seoul have the edge on form, we feel Jeonbuk at home will have the edge. Bottom side Daejeon Citizen have just one victory all season and are 9 points adrift at the bottom. Busan have lost three but won three of their previous 6 games. This is a true battle at the bottom, but we feel it will end in an entertaining draw. Incheon United have won three, drawn 1 and lost 2 of their last 6. Jeonnam Dragons have won 1 of their last 4, however that was vs. Leaders Jeonbuk Hyundai. Incheon are strong at home, but we wouldn’t discount Jeonnam. 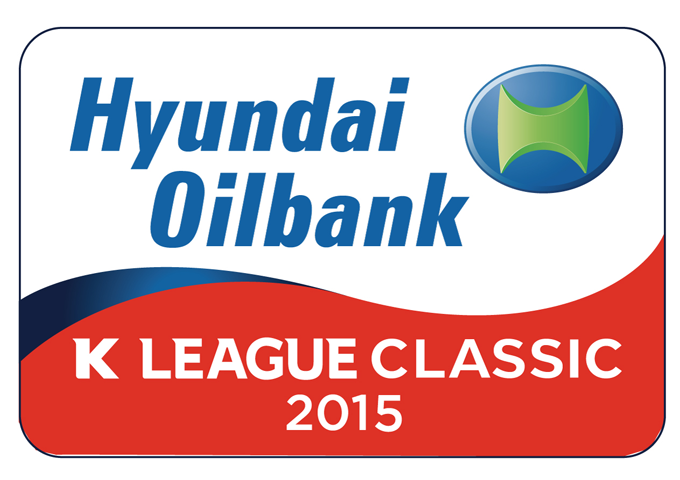 Ulsan Hyundai haven’t won in 10 games,and have only 2 points from their last 5 games. Jeju United have only 1 point away from home all season. This one looks like a draw. Seongnam FC lost for the first time in 6 games during the week, but did win 2 and drew 3 of their previous 5 games prior. Pohang Steelers are unbeaten in 5, however 4 of those were draws. Suwon Bluewings have 3 wins and a draw from their last 4 games. Gwangju have won 2 on the bounce, and are back in the top half. Suwon beat Gwangju a month ago, and we see a similar result this time around. Only 1 correct result, in a weekend of very surprising results. The K League Challenge moves into it’s 14th round of the season, with 3 Saturday and 2 Sunday games. All 5 games take place at 7pm. The highlight game of this round is the bottom of the table clash between 10th placed Gyeongnam and 11th placed FC Anyang, both sides need a good result and so this game is super important. Everyone apart from Ansan Police and FC Anyang have played 12 games, the table still surprising close with 16 points separating the whole table. 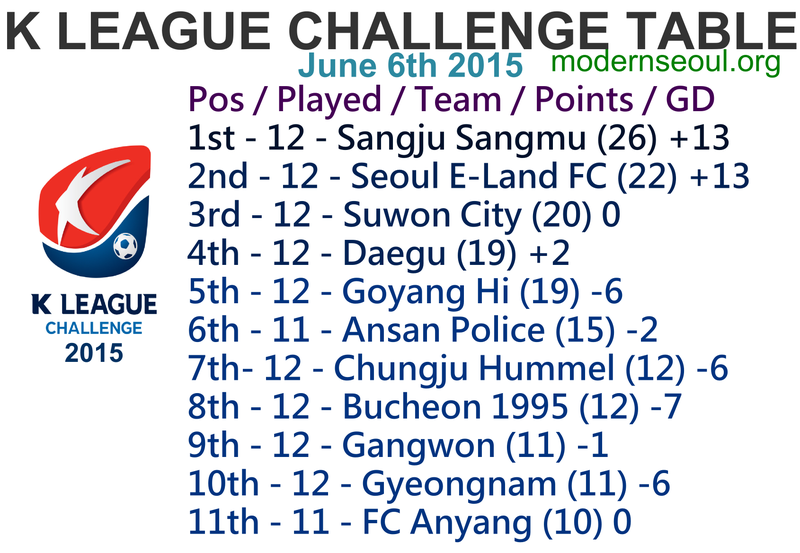 Sangju Sangmu currently lead the way, with Seoul E-Land, Suwon City and Daegu currently in the playoff places. FC Anyang are currently at bottom of the league but only a point behind Gyeongnam. Prediction Update: 3 correct results, no perfect scores.